Only the best way to cruise to the Baja Mexico from Long Beach (Los Angeles), Carnival Imagination features many surprises! Recently upgraded, the ship now features a 9-hole miniature golf course, an adults-only Serenity Retreat, and the fabulous Carnival WaterWorks water park! With a Twister slide and a spray park, the WaterWorks will entertain the whole family! The resort-style pool on board features palm trees and many umbrellas and lounge chairs, so you can imagine that you're at an exotic location while you enjoy the sea breeze. Imagination also features a fine art gallery, a casino, a nightclub, fine dining, and the swankiest rooms you can imagine! 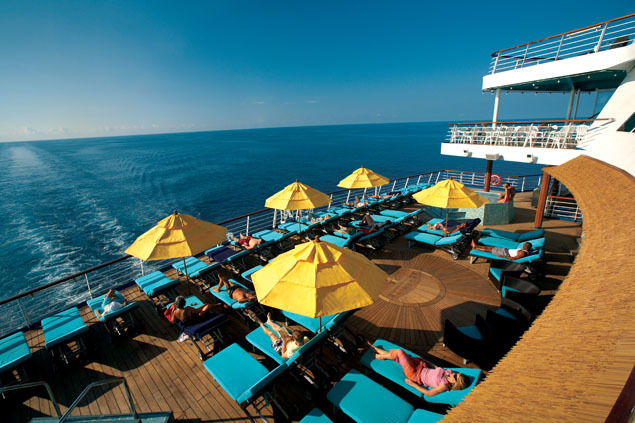 So do not just imagine, jump on board Carnival Imagination! On Imagination, there's so much to do! The kids will be occupied 24/7 with two playrooms to choose from, and organized activities like Camp Carnival, Circle C, and Club O2 - each catered to a different age group. One of the three outdoor pools is especially for the kids, so they can splish and splash to their hearts' content. There is a beauty salon and barbershop, massage and loofah rooms, a fully equipped spa and health club, and a 1/8th mile jogging track! 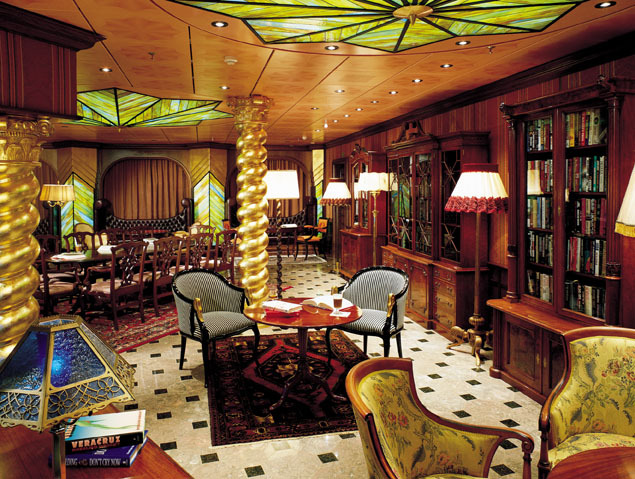 Listen to some music in the radio room, read a book in the Curiosity Library, or browse through the Photo Gallery. Relax in one of the six whirlpools, or rent a movie; you can also watch closed circuit and satellite TV from your room! Imagination also offers a card room, shuffleboard and table tennis. Get yourself a keepsake to remember your trip, or find the perfect gift for that special someone in the Galleria Shopping Mall, which features duty-free shops! 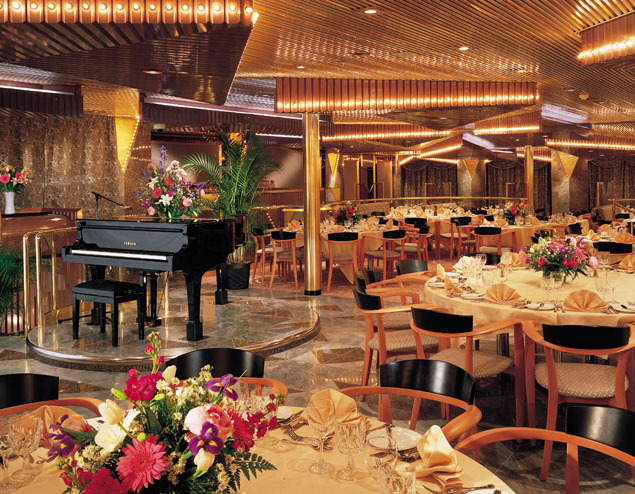 If food is your thing, check out these dining options: The formal dining rooms on Imagination offer an exquisite culinary experience including fresh lobster and a huge variety of wines, as well as great service! 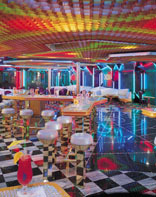 Fascination offers the Supper Club, which is a reservations-only, chic Manhattan-restaurant setting. Offering your favorite menu items from the steakhouse, the Supper Club guarantees to please you with every bite. For the more casual diner, there are midnight buffets, a 24-hour pizzeria and even European Cafés so that you can satisfy whatever craving you have! For the youngest members of your family, the kids menu offers all of their favorites including pizza, spaghetti and meatballs, hamburgers, hotdogs, and much more! Imagination offers something for everyone - especially when it comes to entertaining you! See a show at the Dynasty Lounge or Xanadu Lounge, or just relax and enjoy good company at the Shangri-La Lounge. 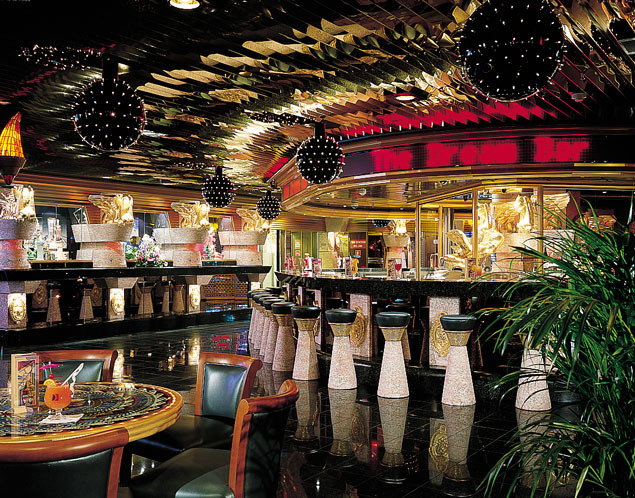 Have a drink at the Dream Bar, or listen to some live music at the Mirage Piano Bar! 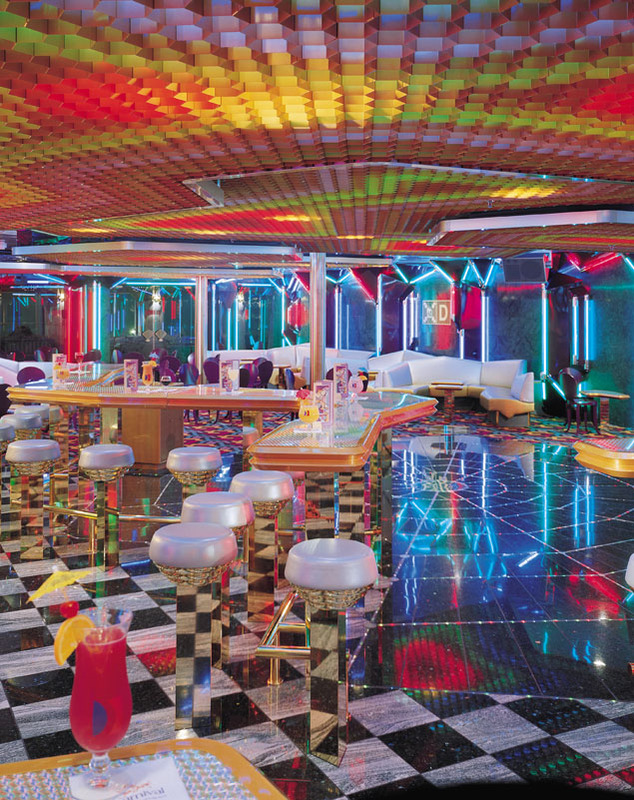 Meet up with your old and new friends at the Pinnacle Club, Vittorio's Café, or the Horizon Bar and Grill! 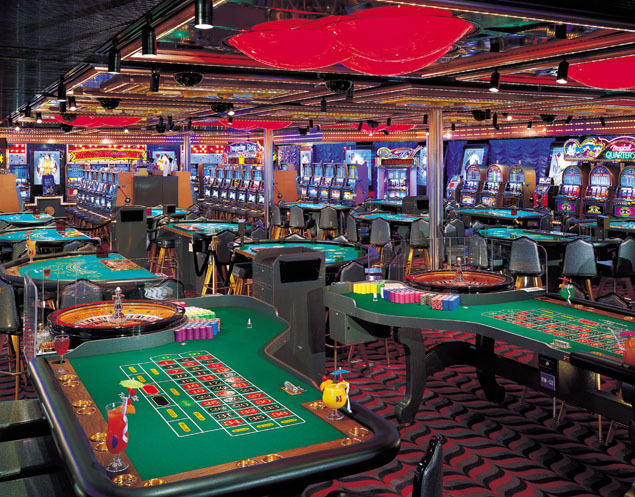 If you are feeling lucky, play some cards at the El Dorado Casino! End your night with good music and show off your dance moves at the Illusions Dance Club! Imagination will delight you in every way!